Now, I still rely on covers and synopsis. They mainly are the first thing I check when I come across a new book. But it dawned on me that not all books had the same chances, not all books had the same path and not all books came from the same cradle. I accepted it and started recognizing a few names, mostly famous ones. You can’t escape them, they are everywhere, they get the big ad pages, they spam you with fantastic marketing campaigns. Don’t get me wrong, it’s good. I am happy for the authors who catch their attention and I love that books get the love they deserve. But there are also independent publishers, small in names, big in passion, giant in terms of the work they handle to get their books out there. They take bets on stories they believe in, they can see the good in what would not even make the big companies’ slush piles, they produce some of the most brilliant pieces of work, they can discover hidden treasures, they are an important and precious part of the industry. This is why the idea of a publisher spotlight came to me. I am slowly learning how publishing works, from the outside (for now), and enjoying the ride. Who can say they don’t like seeing a book they loved and helped go up in numbers? So I must thank NetGalley for teaching me the big names and learning which ones would snob me (there’s always THAT company who won’t work with you, it hurts, but you get over it. Or not.) but I want to thank all my fellow bloggers for teaching me to look out for all sorts of publishers and for opening my eyes on a now important detail I take into consideration when finding stories: the logo or small print of the company which brings me the next journey I will embark on. These days, I find myself looking up publishers to check their news, whatever their size (it doesn’t matter in this situation!) and I like to be able to make the difference, to see the differences, but to work with all because we all have the same goal: pushing our favorites stories on everyone we know until we are no longer invited to parties (who needs parties anyway? ), until we get removed from a Facebook friends list (Facebook is too complicated anyway) and until our dearest and closest just want to lock us in the basement to rot. I cannot call this a Suntag as those are simple questions only asked to quench my thirst of knowledge on the subject! I will answer them because it is Saturday night and I still have thirty minutes before dinner. Answer them too if you feel like it, in a comment or a post on your blog (don’t forget to leave me a link so I can check your answers! ), and let me know all about your relationship with publishers! Do you check who the publisher is for every book that catches your attention? Does it influence your choice about buying the story? To which publisher do you owe your latest 5* story? Have you had any bad experience which a publisher? #1 Yes, I now check the publisher after having spent minutes ogling a book. #2 Nope, unless the publisher has released something awfully wrong that shakes the entire global society or if they spread a wrong message about a subject close to my heart, the publisher’s name won’t be taken into account in my decision to buy the book. I’ll just make a note of it and go on with my life. Yes, I will buy book from the company that keeps snobing me! #3 Well, if we’re only talking about my favorite genre, yes. There’s a publisher that owns my heart when it comes to psychological thrillers! They’re famous for their strong plots and brilliant writings by some fantastic authors. And to be honest, Orenda is becoming my other favorite. I’m currently reading book number four and once again blown away, but the final decision will be made at the end of the month! #4 Do reblogs count? If yes, Orenda Books wins with A Suitable Lie. If not, then it was Blink by K.L Slater and published by Bookouture! #6 Hell yes! I have loved being on NetGalley and doing my thing all by myself but working on blog tours and projects with publishers is a lot of fun. Terrifying but fun! I had NO IDEA about Publishers either before I started blogging. Even at the start of my blogging life I had no idea 😂 To be honest, I still struggle a lot when it comes to imprints and smaller presses, but I’m pretty comfortable with the Big Names now. I still look more at the book/author than the Publisher though in terms of deciding what to read. Noooo!!! They are MADE, like dinner or roads!!! 😭😭😂😂 Same here, I had no idea how it works! I loved books, I read them and that was it. Now I am even more in love with those stories because I know all it takes to create them! Haha, yeah, comments aren’t always convenient for that!! I should have made it a real tag! Yes!!! I definitely appreciate them a lot more. Thanks so much!! I can’t wait to see your answers!! The Bookseller subscription is a terrific idea!! Thank you 😀 It’s funny how our love for books brought us here and we have learned so much from the blogging experience. I personally thought I knew enough and that there was no big deal. Oh wrong was I!! So much to check, know, read, eek! Great post Donna! I’m going to answer these questions later when I get the chance!! Interesting things to think about though- thank u for finding a different angle!! Great post and yes blogging has completely opened up my eyes to publishers. The one I trust completely is Orenda (in fact I have a post about this coming out in about an hour 😀). Haha, I’m looking forward to your post!! 😀 I am just stunned by how little I knew about publishing when I kept being called “the reader” in the family. I never wondered about how stories found their way in my hands before starting the blog! You’ve basically got 5 groups when it comes to publishing, Donna! 1. Self-publish by choice, ie, who don’t submit to publishing companies because they want to have complete control over what they do. 3. The independents or smaller presses. These range from the good: Orenda, Bookouture etc, who behave as far as they can like traditional publishers, to the not so good, who are less fussy about what they publish, do less to help their writers, and often don’t have very good editors and proofreaders, and the bad, who will publish practically anything that’s shoved at them, and put out books that have been worked on by idiots! There are thousands and thousands of small presses, and anyone can start one up. 4. Vanity published – people who pay for their books to be published, usually a great deal of money for a very poor standard of presentation. Vanity presses will take any book as long as the writer will pay the exorbitant fees. 5. Self-published out of desperation – those who have tried every publisher in existence and been rejected over and over, so self-pub as a last resort. Hope that is enlightening for you! I’d like to offer this questionnaire to the review team I read for, if that’s okay? It’s an interesting one! I found this whole thing really interesting from a writer’s POV, Donna – ie, how bloggers look at books. I’ve also found over time that most non-writers have no idea, and think a publisher is a publisher, and neither do they know that many of the books they read are actually self-published – some selfpubbers put something like, oh, I dunno, ‘Bordeaux Books’ in the ‘publisher’ bit, because the stigma about self-publishing still exists, since the only option was vanity press, back in the days before Kindles. I was asked by a girl the other day to review her book. I don’t take submissions, but I did look at it. It had 3 big errors in the blurb alone – then I looked at her publisher. It’s one of the best known (for being a scammer), most expensive vanity presses with one of the worst reputations! It’s Austin Macauley, by the way, and Author House is another one. I love discussing the different points of you on a particular subject and I am so happy to see bloggers being considered a part of the system. It’s a good thing we all learn how the other actors in the industry see things and work. If I asked my friends about publishing, I am pretty sure none of them would really know what to say, but as I decided to do more than just read, I feel it is important to really know my subject. Yes, the self-publishing stigma is strong and I find it hard on authors, especially because I have read some fantastic indie work and they don’t deserve the way they are treated. Barb Taub should have sent you her answers to this – she sent us all a copy of them. She thought it most interesting! I agree, that since blogging I’ve become more aware of publishers and imprints, though I think it is confusing to often tell the difference between a publisher and an imprint, which is marketed like a brand so readers can be quite saturated by all this subtle imagery. Because I like to read books from different countries and cultures, I love reading blog posts that profile different publishers. An excellent summary I read recently which made me realise how little I have still absorbed, was written by Melissa at The Book Binders Daughter (linked here) about subscription plans, those small independent and indie presses that fund themselves through offering readers subscription plans. I subscribed to Peirene Press and loved that my reading became so much more diverse without having to spend hours finding such books, in fact I don’t think I would have found them without being lead and in the company of other bloggers who are also reading the same book around the same time, makes it all the more fun. Thanks for mentioning this subject, I think you are right when you suddenly discover a publisher in a niche that fits your reading so well, from what I can gather Karen at Orenda publishes books she loves and so can be that much more passionate about them, as it’s not just a job, it’s an authentic opinion she’s effusing about a book she thinks is great, it’s a unique and welcome way to publish books! I wouldn’t have said it better about imprint and publishers! 🙂 There’s so much to learn and I am still amazed at how little I knew when I started! Thank you so much for the link this sounds so interesting! I love the idea of subscribing to indie presses and get a lot more diversity than the titles that make the front pages. Thank you so much for your input, I’ll look into it and I’m sure to discover a lot of great things! I couldn’t have summed up Karen’s work and passion better! Great post, I really enjoyed reading it! 🙂 I knew a bit about some aspects of publishing before I was a blogger due to a family member having a book published when I was a child. I used to take page proofs in to school to show my teacher, and I got to go and see the book being printed. I remember being amazed that they didn’t print the pages in order 1,2,3 etc but there were four book pages to a sheet of paper that would then be cut and bound in a machine. I was only young but the memory has stuck with me. Beyond that though, I still went into book shops and bought books based on whatever caught my eye at the time – like you, I sometimes didn’t notice who the author was, or the title etc. Since I started blogging I know more about how much work goes into writing a book and getting it published, and how hard people work on promotion. It makes me want to make more effort to buy books by authors I like, or to at least make sure I talk about their books on my blog and social media. I love when people tell me that they bought a book because of what I wrote about it. Love this memory! It must have been a nice experience! I didn’t really give much thought to publishers before either, I guess unless you really look into the book business rather than just read what takes your fancy, you wouldn’t really. But now I know the big companies and although it is great working with them, it is also good to work with the smaller ones too, who find real gems. I’m not sure I agree with the commenter above who says that self publishers are out of desperation, as I have read some great books that have been self published. Also like you, I love Netgalley! 🙂 Yes, I just feel so passionate about it that I cannot stop thinking about ways to learn more and just get immersed in it all so I put all ideas on the blog and see what I can learn from them. I am loving this post, I have learned so much already! I was talking about it with the only other member of my family who reads and she admitted she never looked at the publisher’s name and could bare name one. I admit French publishers are not my forte but I have a few names in mind, so I don’t feel too bad, haha! I love working with both big and small companies, they handle things differently and it’s refreshing. It’s not something I focus on when I decide if I’m going to read a certain book or not. That’s what the blurb is for. If that doesn’t grab me, I’m not sure it matters who published it. My last 5* read was published by Bloodhound Books. Had to look that up 😉 Told you I don’t pay attention. Like you, I do seem to gravitate towards Orenda lately. And Bookouture. Even if I constantly spell their name wrong. Haha, yeah I also had some big names, both French and English but I would have been unable to say what they had published! Bloodhound books has some great stories, I don’t think I have worked with them before but I’ve heard good things. Bookouture are a sure thing, they have some of the best stories. I think I only got disappointed once! Great post, I’ve learnt so much about publishers since I’ve started blogging, but I’m still trying to get my head around all the imprints, some publishing companies, have so many! What I did do, once I started blogging and starting working with a publishers, I’d go and scan the books I already had on my shelf looking for books by that same publisher lol. But I must say Orenda is one of my favourite publishers because I haven’t read a book published by them that I have given less than 4 star! What an interesting piece. The publisher’s presence in the background usually holds sway over the whole author/publication/blogger experience. Some are just great and supportive to everyone (hello Orenda). Others have their mid range – called mid list hell – where the publisher will publish a book and then leave the author to get on with it. Those are the hardest books to get out there, because there is no publisher support. Thank you very much for your kind words. I have been in contact with authors who had been chosen by big names and left to do their marketing on their own, I was shocked when I heard about it and I did my best to support said author but it just feels wrong of the publisher to only go halfway and not finish the work. I do have go to publishers on NetGalley. I love Berkeley and Kensington, but I’ll admit that some of my favorite authors aren’t with those publishers. I’m currently reading This Savage Song which is a HarperCollins book. I seem to read a lot of theirs too! I’d like to answer these questions in a post too, if you don’t mind. I think they’re really interesting! Very interesting post 🙂 I can only say I have a similar experience as yours. Publisher names really didn’t matter before I started blogging, and now I’m starting to notice that some publishers produce a great story 95% of the time because I keep seeing their names after I mark something with 4-5 stars! However, it is true that I’ve read wonderful stories by tiny publishers as well. I have started making faves on NetGalley though. So far it’s just Macmillan/Tor-Forge because they are exceptionally strong in sci-fi and fantasy. I’m hoping to add more publishers as well, but it’s a time consuming thing. The French thing! Oh my god 😀 we have a case of a neurotic author there, it seems. I have never had that happen to me, thankfully, but I am grossly out of region… I’m from Lithuania, so at least half the requests I make will not get accepted because I’m nowhere close. Doesn’t matter that my readers are from the West! But I guess I’m too small a blog for that to count so far 🙂 so maybe in the future it will matter less. I like how blogging has made my reading experience evolve 🙂 It’s nice to know which publishers did what on books you’ve read and to recognize names and help indie and smaller publishers in their actions. Interesting post Donna! I didn’t pay any attention to who published a book before I started blogging and now I always check to see which publisher is behind a book I’m going to read. I have complete confidence in Orenda which I probably never would’ve heard of before blogging!! I really feel so confident in Karen and her books that I’d love to do whatever I can to promote her in the US and I never would’ve guessed I’d ever feel so strongly about a publisher 6 months ago:) I just finished a book last week I truly didn’t enjoy and went back to see who published it and I’ve taken note and said to myself I’ll avoid them in the future! So so so happy to hear that!!! Now I’m really hoping you’ll like it, haha #pressure! No I don’t look at the publisher really (although I take note of the name of the publisher more now than before), I look at the book and I don’t care if it’s a big or small publisher, if it catches my eye and it seems interesting I want to read it. I won’t read everything because it’s from a certain publisher, even if she’s not let me down yet.. if I feel the book isn’t really my thing I won’t be persuaded into reading it. I have good contacts with a few small publishing companies (Bloodhound Books for example) but I need a nice blurb to decide whether I want to sign up for a blog tour or not. I think it’s safe to keep the story first, but I admit I’m more inclined to take risks with books I wouldn’t normally read when they’re recommended or released by my favorite publishers. That is what happened with Revenge and it was a great surprise. I was EXACTLY the same before I started blogging – I’m so glad to hear I’m not the only one! I think blogging makes you feel closer to the author (cos you can talk with then on Twitter etc. ), so it makes you pay more attention. You definitely are not alone! I love that our passion is teaching us things we wouldn’t have thought about before blogging! Yes, I love being able to contact authors and publishers and really have a connection, it makes things more personal and stories have a different taste sometimes. Great post, Donna! I do always look at the publisher for the books that I’m reading. And I do have a few favorite publishers. However, I don’t base my reading decisions on publishing houses. I choose books simply based on the author and book descriptions. It seems like the best way to go 🙂 I admit it took me so long to look at the publishers, and I still have trouble remembering the French ones because I never read in my native language, haha. I didn’t really understand the processes of publishers, either. In my mind, I think about the traditional publishing houses and how they operate. I still don’t pay attention to the publisher. I mean, I put it in my review, but the minute it’s typed in, it leaves my thoughts. The only thing I can say negatively about publishers is the “you’re not X nationality, so you can’t read my book” business. I think that is totally stupid, but I guess I don’t fit in their marketing campaign and all that jazz. Still bums me out though. I’ve had negative experiences with authors, and sometimes agents that drop the ball. I get the nationality issue sometimes too, weirdly always from the big ones! Here’s to good stories and nice publishers to forget the bad experiences 🙂 At first I noted the publishers for the reviews and it left my mind right after but now a certain number of names stick, especially when the book has had an impact on me. 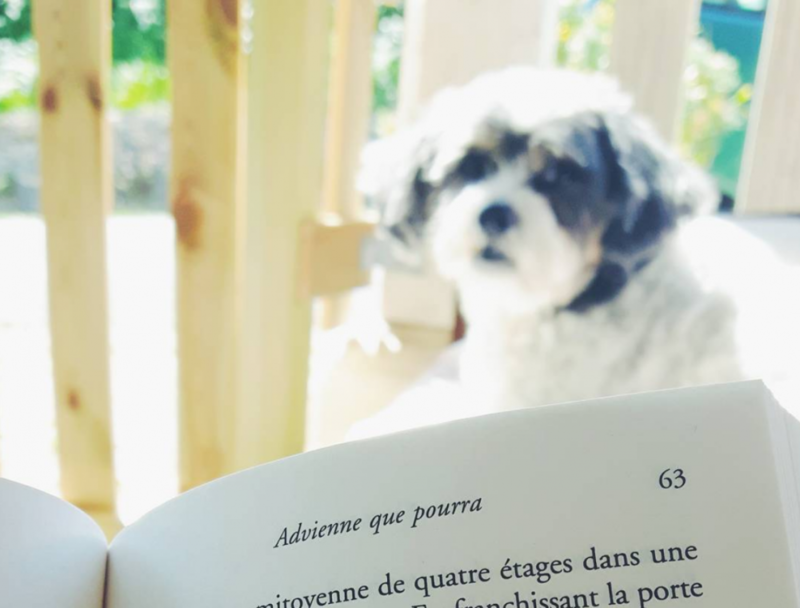 I didn’t really have any idea about publishers before I started blogging either, other than the really big ones like Bloomsbury and Penguin (in the UK, may be a different story in France). I’ll also admit that even now I’m still not 100% up on some of the more independent publishers but I’m definitely learning and I think NetGalley is the main reason for that. Seeing all the books that appear on there I pick them based on blurb or cover impressions and then check out the author and/or publisher. Definitely helps me to get to know more of the publishing houses in the UK. Thanks a lot Beth! I am growing so curious about everyone’s experience with publishers and how our relations with publishers are modified by our blogging. NetGalley was the first tool that helped me make sense of who was who and since then it’s been a long learning journey, but it’s so amazing to work with lots of different people on so many different stories. Oh it sounds amazing, and really rewarding as well so I hope it continues to be that way for you. I have always been aware of publishers in the sense that I read a lot of horror and fantasy which brings about a lot of series. With series you tend to see certain names over and over 😉 I have became familiar with publishers who seem to be prominent in my favorites genres. I am probably guilty of not knowing much more than this. Blogging has certainly drawn my attention more to publishers as I have participated in tours and email correspondence. You slowly begin to learn just how much more is going on behind the scenes. And that is not to be taken for granted, so I absolutely love this post and all that you are doing this month ❤ This feature is not only original very important! I have not really had a bad experience with a publisher. I have been denied at times.. usually due to demographics, etc. But nothing that has ever felt personal. There are certainly some who seem to be more response. And my connection with indie authors has provided me with newfound appreciation for self publishing and smaller companies. My last 5 star read did go to Ace for Red Sister by Mark Lawrence. A larger company obviously. Being a fan of fantasy, I am familiar with them and Tor pretty well here in the US. Thanks so much, your support means so much to me ❤ I just feel so passionate about all this that I want to know everything and ask questions and annoy everyone, hahaha. I am loving this feature because it is teaching me to do things I would not have dared doing otherwise. It's scary too but in a good way so yes to publisher spotlights!! I have found indie authors to bring a very different and refreshing experience when working with them, I love it just as much, when they respect the blogger, of course. ❤ Thanks for everything and more! I'm happy you're enjoying this and I'll keep doing my best! Great post! Honestly, a lot of BIG publisher names managed to remain my memory since my childhood (probably because their names were pretty easy to remember) and because the companies are usually showcased at book events (making it that much more easy to remember who they were). However, I never bought books based on the publisher. Since the day I started blogging however, it has become just a fun knowledge to check who the publishing company is (but that didn’t affect my decision to buy a book or anything at all). It was nice to hear your thoughts on publishers though! The whole author conflict you once had sounds harsh though. Sorry you had to go through that! Yeah, the author big argument, I decided not to let it ruin my fun but I felt it was worth mentioning here. I cannot believe it took me so long to pay attention to publishers 🙂 I can barely name three big French ones! Phew- I get the feeling after reading this that I don’t pay nearly enough attention to the publishers *hangs head in shame*- in all honesty, when I see a book I’m thinking “author, title, blurb… SHINY” (not necessarily in that order) Now I’m thinking I should pay more attention to the publishers for sure! It would be good to start seeing patterns of who publishes what! Hahaha, love your train of thoughts! Don’t feel bad, if it doesn’t feel necessary to you, it’s totally fine! I mean I spent 25 years not paying any attention to publishers while devouring books and I survived! 😀 I just think it’s nice to recognize names once in a while and sometimes it helps to check and see if some publishers gather stories you really love. haha thank you for saying that! Yes that makes a lot of sense- particularly for indie publishers- I do occasionally notice when it’s something unusual- but not enough! Intriguing post, and I thought Terry Tyler’s response was excellent. I’m a writer who has published both with a small publisher, and self-published. But I’m also a book reviewer, so my responses to your survey include all those perspectives. 1. Do you check who the publisher is for every book that catches your attention? 2. Does it influence your choice about buying the story? If it’s a recognizable publisher, I’m more inclined to take the book because it (usually) means it’s been professionally edited. But the cover and blurb still have to grab my attention. 4. To which publisher do you owe your latest 5* story? Um…if you mean me as a writer, it would be my publisher, Hartwood. 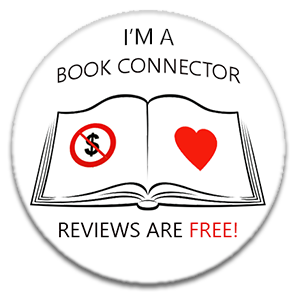 If you mean me as a reviewer, most of my recent 5-stars are repeat submissions from writers I’ve reviewed before who have sent their latest work. And I think that goes for most readers—we go first for the known quantity of previously enjoyed writers, and after that might look for things like recommendations, reviews, and publisher. 5. Have you had any bad experience with a publisher? Yes, but it’s only been with some “publishers” who are actually vanity presses, or even worse—predators who extort money from writers with promises of publishing their work, but who don’t take any time to properly assess, edit, support, or promote. To be honest, I’ve ended up on several publishers’ distribution lists, but it has rarely worked out. I’ll almost always review books for writers I’ve already reviewed, and following that I review as part of a review team, and finally from review requests submitted directly to me (although I can say that I get dozens of these a week and accept only a couple a month). In general, I don’t really have time for blog tours, cover reveals, etc. but for various reasons I will occasionally do them. Thank you so much for such great answers, it was very interesting and informative. I haven’t mentioned the editing of books but you do have a point, you are less likely to find yourself with a poorly or not edited story when going for a recognized publisher. I admit editing is important to me, it is a pain to review a book that hasn’t gone through a thorough check. Weirdly, I feel leery of books from big publishers with a lot of marketing, I have been disappointed more by those ones than the indie or smaller publishers’ stories. Bookouture is my Achilles’ heel too, with Orenda a close second now! Haha, some publishers will always snob us, but we’re thankfully surrounded by more awesome ones than mean ones! I have accomplished my goal then, I really want for readers to discover Orenda Books and experience all the fun! 1 Do you check who the publisher is for every book that catches your attention? No I don’t, I never have done as the story is the thing for me. 2.Does it influence your choice about buying the story? Nope! I buy based on whether on not the story appeals to me. I check the blurb and sometimes the look inside bit. 3.Do you have go-to publishers who you know won’t disappoint, no matter the story? (this one is difficult as they usually publish so many different things!) Nope, I have go-to writers, not publishers. 4.To which publisher do you owe your latest 5* story? My latest 5* story was the fabulous The Black Hours by Alison Williams and it is self-published. 5.Have you had any bad experience which a publisher? I can quite often be disappointed with the lack of originality shown by the big traditional publishers, although I understand why this is the case. They need marketable books with big returns so go back time and again for more of the same from their established authors. Unfortunately for the public this is often then all they see on the shelves and they maybe unaware of the wealth of talent and fabulous writing there is available to them. 6.Are you, at all, interested to work with publishing companies doing their best for the books to find their audience or do you stick to the reading for the story? 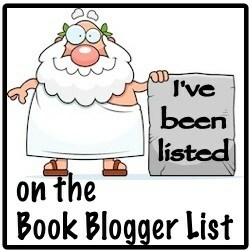 (as in, do you like to take part in blog tours, cover reveals, anything that includes you into the big scheme of things!) I review stories that appeal to me and that I choose to read rather than taking submissions and I do also request books from a review team. I do the occasional promotional post in support of other authors but it is generally the authors that I have built a relationship with rather than any publisher. I feel the same about the lack of originality from big publishers’ titles. Once a fad is doing good, they’re on it for as long as possible. I’ll definitely go and check your blog, thank you for the link! OmG, I can not believe that the author didn’t want you to review his book because you’re from France. What a douchebag! I wonder who he is… …and what did you do? Did you publish it anyway? I have a great experience with Penguin Random House, they sent me many book proofs, and approved me on Netgalley, and they are great to work with for Blog Tours. I really appreciate them, they supported me when I just started my blog, and they even approved me for Findin Audrey on Netgalley when I didn’t even have a blog, but in my bio I said that I was starting it. On the other hand, there is one big publisher who never approves my requests, and once they sent me an email about sending me one book I was really looking forward to read, but the book never arrived (in the end I purchased it myself). Let’s say this was an experience that I hope to never live again! I did not publish anything and tried to not let this influence my choice to work with indie authors but it was really harsh and stupid. Penguin sounds really nice with you! I don’t think I’ve worked with them before but I admit at the moment, I have no clue what’s on my NG shelf because I don’t have time to check the website #busybusy haha! I never noticed publishers before I started blogging but it is now really apparent those that appeal to me, some because they are innovative in the way they choose their authors and others because they have a more formulaic approach – other ones publish books that I am less likely to read, perhaps because of genre… it is fascinating stuff! It really is! I feel like publishers have become a complete part of how I handle my readings now. I lean towards the few that don’t disappoint me, I try new ones and I am loving working with smaller companies. Depending on their size and niche, there are so many differences and that makes the experiences fascinating. Well having friends think was the point of this post so my job is done 😀 I do think the publisher is important when it comes to smaller companies because I can tell from their names if a book is going to be good most of the time. I need to start paying more attention to publishers!